Computers : : They learn various things in computer. We use software called JAWS which help them in understanding what they are doing on computer. Kids of 5th and 6th class practice more on typing. In typing, more focus is given on the grammatical corrections and punctuation marks apart from the typing speed. 7, 8, 9,10th class kids work on tools like notepad, MS Excel, Word, PowerPoint. They also do real world things like Letter Writing. The kids are also made aware of basic Window actions like folder and file basics. English : We teach 5th to 10th std about personality development. We follow English course which is more interactive. It is important for them to interact with outer world without hesitation. English course is based on grammar, stories and conversation. We have setup 2 well-equipped labs with 20 computers. Idea is to provide each student a computer and let them learn independently. We have also done the setup for speaker, headphones and UPS. We have created the English Course Structure for them which will help them in becoming more interactive. We organize lots of events on monthly basis like dancing, typing competition, playing. This keeps their enthusiasm up and they always feel in "go ready" form. We also help students who pass out and enroll for college. We keep in touch with all the pass out students and keep interacting with them and involve when any kind of help is required. It's an orphanage home located at Wilson Garden. We teach 30 students here covering from 5th to Inter-1st year standard. 1. Computers : Recently we have started our computer course in Shishu Seva Ashram. We have developed the computer course structure for them. Here you can see the outline. We have noticed kids here are more oriented towards extracurricular activities like painting, drama etc. and hence our content is more focused on animation/painting tools like Flash and Photoshop/Gimp. Soon, we will start with Computer Algorithms and later with the programming language. 2. English : We teach 5th to 10th std about personality development. We follow English course which is more interactive. It is important for them to interact with outer world without hesitation. English course is based on grammar, stories and conversation. We have setup one lab with 10 computers with internet connection . Idea is to teach the students the different tools, softwares and internet. Discontinued by pankhudi for now. We will be looking forward to continue shadowing Anatha Shishu Seva Aasram in future. Desire Society is a care center for HIV affected kids. 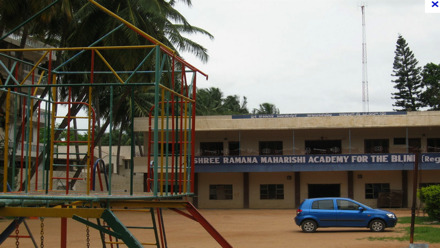 It is located in J P Nagar 8th Phase, Bangalore. We teach 23 kids out of which 5 are HIV-affected and others are kids of HIV-affected parents. The kids are of age 5 to 15 years. English : We teach English for all the kids here. For younger kids we have started with alphabets. For elder ones, English course is based on grammar, stories and conversation. We follow the syllabus of NCERT course. Muthur village in Sidlaghatta Taluk of Chikballapur District has a population of 2,000. Primary occupations here are sericulture, dairying, grape and other cultivation. Muthur once nurtured a dream of all-round development under the stewardship of Sanjoy Das Gupta, former Deputy Commissioner of Kolar District, which it was earlier a part of. He had taken great interest in the village and started the high school, got the village tank de-silted, run regular medical camps and, among many other things, organized an agricultural fair in 1998, which is remembered to this day. With his untimely demise however, progress here came to a standstill. What we are attempting to do, since 3 years now, is a humble continuation of his work. Once in a month, Pankhudi team takes spoken English classes at Muthur. With the compiled data, team has reached to the conclusion that students are good in their subject, they just a touch of personality development to grow up laterally. Timings: 3rd Saturday of every month. 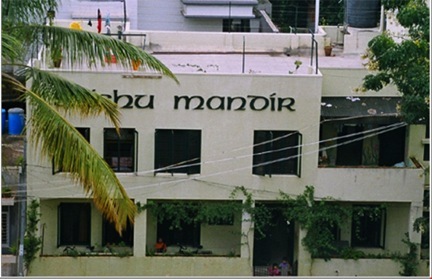 Shishu Mandir near Garden City College, K R Puram is a school for those children for whom education is just a dream. The school takes up children from poorest strata of society, promises to provide proper education along with hostel facilities. Shishu Mandir is an English medium school and kids were finding English as a big obstacle considering the background they come from. Annie George, who got in contact of Shishu Mandir as part of Teach India initiative started a program where focus was on Reading and Comprehension. Kids are taught on how to speak and understand English in an interesting way of Story telling. Pankhudi Volunteers extend their support to this program by interacting with kids; improve their English and providing exposure to outer world. From March 23rd Pankhudi volunteers started involving in Shishu Mandir activities and it is just a beginning.